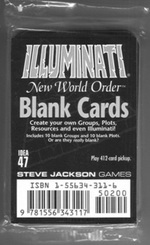 The INWO Blank Cards are out. 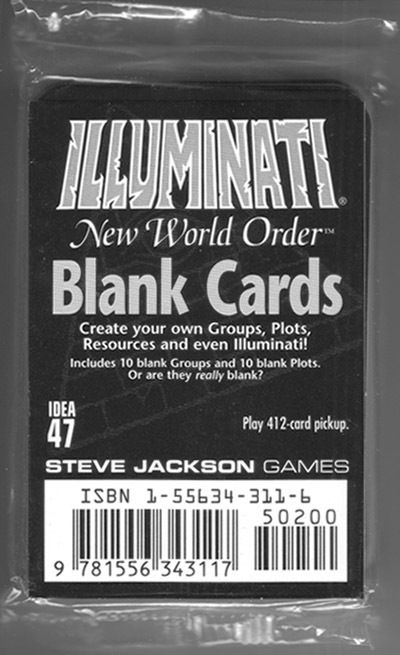 You can make up your own cards, or just play a whole game with blank ones and refuse to explain what you're doing. Pack of 20 blank cards. The card backs will look perfectly normal, the better to surprise your unexpecting friends. But the fronts will be blank, the better to fill with your own twisted ideas.